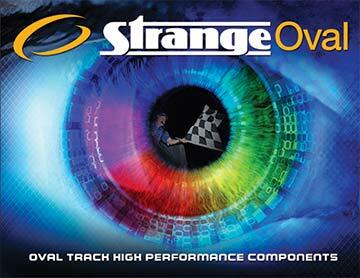 Strange Oval’s proven billet aluminum drive plates go way beyond your standard drive plates. Manufactured, in the USA by Strange Oval, from aircraft quality aluminum. The upgrade in aluminum quality allows Strange Oval to minimize weight, while still maintaining strength. All drive plate designs (part numbers), were developed with years of experience and FEA analyzed, then track tested. After extensive track testing, the drive plates were re-evaluated; enhancements were made based on race conditions and FEA is re-done with refined input loading based on actual use- to ensure weight is minimized and strength is optimized. Strange Oval drive plates feature lightweight steel inserts and flanged bushings- further increasing wear resistance, extending life and maximizing dependability. Available for all Late Model and Modified applications. There is a reason that racers like Brett Hearn, Kenny Tremont, Josh Richards and Brandon Sheppard, to name a few, depend on Strange Oval drive plates and axles. Don’t just race... Race Strange!